Some employees and economists like it, and some employers don’t: Oregon is leading the way among states that are prodding private sector workers to automatically save for retirement through payroll deductions. The lack of retirement savings among Americans is almost universally bemoaned, but nudging, prodding and lecturing have done little to build up nest eggs for old age. So some states say they are going to make it easier to save with a simple plan: an automatic payroll deduction for retirement savings. Oregon is the first state to roll out a plan that covers private-sector workers who do not otherwise have access to a savings plan in their workplace. The deduction is an automatic 5 percent of gross pay, unless the worker opts out. Participants can reduce the percentage, if they choose. The state directs the money gathered under the OregonSaves plan to privately run low-cost investment funds. With its heavy concentration of small businesses, Oregon calculates that it has more than 1 million workers whose employers do not offer a retirement-savings vehicle. Many small employers say they cannot afford the expense or time to set up such plans. Luke Huffstutter, who co-owns a hair salon in Portland, was among them. “I had looked into setting up an employee-savings plan. We met with four different companies, but the plans were either too expensive or the fees were too high,” said Huffstutter, who, with his wife, Natasha, owns Annastasia Salon. When he heard about OregonSaves, the state’s pass-through savings plan, Huffstutter signed up right away. The program’s first phase began July 1, with 11 businesses participating, including the hair salon, a liquor store, a day-care center and a chocolate maker. All employers who pay unemployment insurance for their workers are required to sign up by 2020 — about 60,000 workplaces and 600,000 workers. “It’s genius because people are signed up and participate unless they actively decide they won’t,” Huffstutter said. Most of the salon’s three dozen stylists and other employees enrolled. They included Maria Rose Isaac, 26, the salon manager. Worker reception has been more mixed elsewhere, including at S & S Sheetmetal, a family-owned air conditioning and heating business in White City, Oregon, where about half the 30 workers have opted out, said Christie Calkins, the office manager. “Some had their own plan and some are concerned about a plan that has the government involved,” she said. To address any wariness about state-run pensions, Oregon structures its program so the state is only a conduit for funds. Savers can choose among investment options. OregonSaves offers three — preserving capital, growth and savings for a target date. Participants pay 1 percent of their total assets in annual fees and can withdraw their money without penalties. Eight states have similar but not identical programs in the works, including Massachusetts, New Jersey, Vermont and Washington, according to AARP, which has lobbied in support of the state-sponsored plans. California and Illinois are expected to start their versions in 2018. Maryland and Connecticut plan to follow soon after. While serving as interim Seattle mayor this fall, Tim Burgess also proposed that the city set up retirement accounts for workers in Seattle whose employers don’t offer them. Oregon was an early adopter; its Legislature approved the retirement-savings plan in 2015. The Obama administration tried to bolster state efforts to promote retirement savings by relaxing the strict rules and reporting requirements that employer-based retirement plans and pensions must follow. In May, Congress repealed those rules, leaving states on their own. States like California, whose planned program could cover as many as 7 million people, would most likely operate with some variation of paycheck savings — unless there is a real glitch in the Oregon program. Nearly half of Americans of all ages have little or no money set aside for their later years, according to several experts. Overall, the shortfall is estimated at nearly $7 trillion, the National Institute on Retirement Security found. As a result, there could be a tremendous drain on municipal coffers by older people who require more health care, housing and other services. Even a modest amount of savings could make a difference, AARP has found. 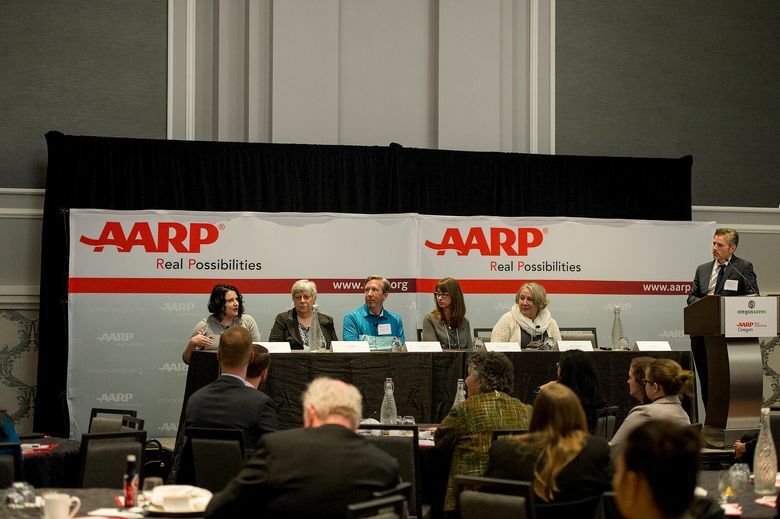 If lower-income retirees were able to increase their retirement incomes by as little as $1,000 a year, Oregon could save $98.9 million on public-assistance programs between 2018 and 2032, according to the organization’s analysis. Those figures have encouraged state efforts. The plan, Read said, was built on the ideas of Richard M. Thaler, the winner of the 2017 Nobel Prize for economics, who advocates payroll-savings plans as essentially “the only way that middle-class Americans reliably save for retirement. Your grandmother probably knew that the best way to save money is to put money aside before you have a chance to spend it. That approach has always worked — and is a core idea embedded in these plans,” Thaler wrote in a 2013 New York Times column. OregonSaves is facing its first legal challenge, however. The ERISA Industry Committee, a trade group of the country’s 100 largest employers, filed a federal lawsuit in October saying that Oregon created confusing and unnecessary paperwork for companies already complying with federal pension law. That’s likely not to be the only challenge. Some small-business owners strongly object to being required to handle more paperwork, and the financial sector complains that government should not be involved in private savings. Oregon’s plan caps the amount a worker can save at $5,500 a year, and $6,500 for those 50 and older, which means that even rigorous savers will need to set aside more than the state plan allows. Since July, about 75 percent of workers automatically enrolled in OregonSaves have stayed in the program, according to the Oregon State Treasurer’s Office. To date, upward of 2,400 employees working for more than 50 employers have saved just under $200,000. Participants can automatically increase their savings by 1 percent annually, to a maximum of 10 percent. 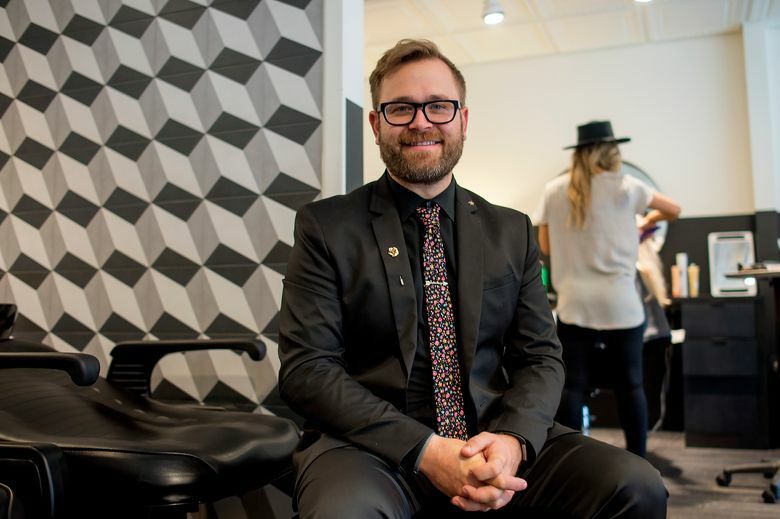 In Portland, Huffstutter said the payroll-deduction plan took the salon minimal time to set up and maintain, and fills a gap in the beauty industry, where salons like his are often too small to offer retirement plans. Information about the Seattle proposal was reported by Seattle Times staff.